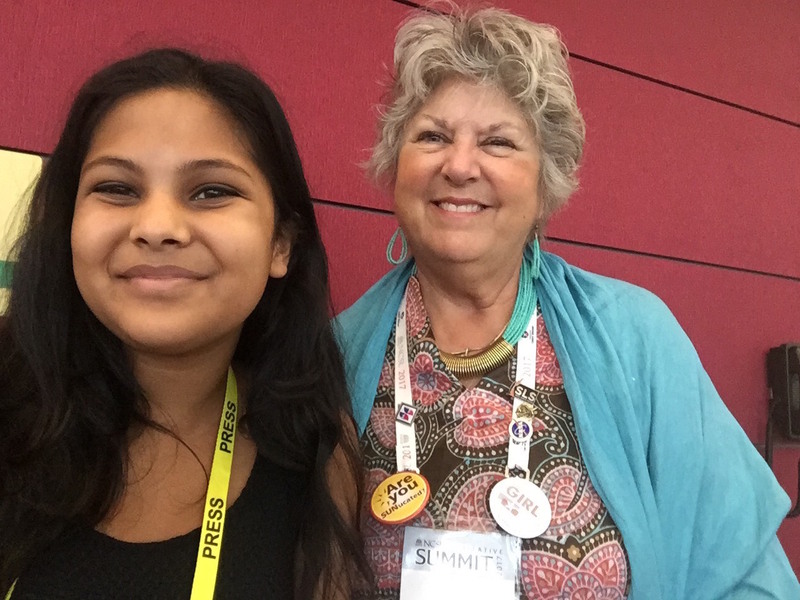 Nancy Todd (right), a state Senator from Colorado, poses with a reporter at the National Conference of State Legislators’ 2017 Legislative Summit at Boston Convention Center in August. “What millennials have to understand is that they cannot disengage. They have to stay engaged, and they have to figure out what their mission is,” said Representative George Brown in an interview. Millennials, however, are currently finding it difficult to engage in politics. Earlier this month, thousands of state legislators from across the country convened in Boston for the National Conference of State Legislatures’ 2017 Legislative Summit. The issue of youth satisfaction repeatedly arose. “It’s awful out there,” said keynote speaker Frank Luntz, an acclaimed political consultant and pollster. He emphasized how in the current climate, today’s youth is growing increasingly disillusioned with the state of politics, and is now more distrustful of capitalistic systems than ever before. 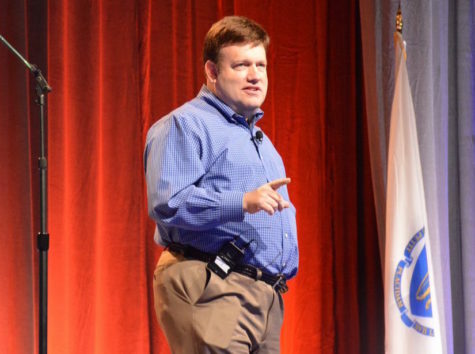 Frank Luntz, a consultant and pollster, was a keynote speaker during the National Conference of State Legislators’ 2017 Legislative Summit at Boston Convention Center in August. Regardless, in interviews, state politicians stressed the importance of young people remaining engaged despite their disappointment. 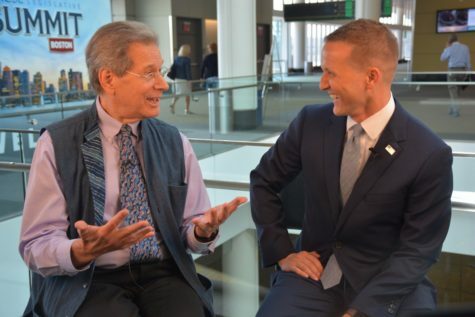 Jay Kaufman (left), a state Representative for Massachusetts, was part of the National Conference of State Legislators’ 2017 Legislative Summit at Boston Convention Center in August. But why are young people failing to vote or be otherwise involved? Many politicians saw current education and communication methods as causes of youth disengagement. They emphasized the importance of effective education in the quest to get youth engaged. Representative Stephen Meeks (R-Ark.) agreed. “Right now, I know in our state, roughly only 30 percent of students are scoring proficient in civics. So a lot of [lack of youth involvement] is caused by a misunderstanding of how the government works. And a lot of that is our fault for not properly communicating how it works. [If we improved communication, they] would interact with us more. Luntz also stressed the value of youth input in the legislation process. The legislators all seemed to have the same message to today’s youth; “Get involved,” as Wallner put it. Few, however, had clear ideas to address young people’s disillusionment with the current political climate, which has caused the lack of involvement in the first place. Improved communication and education may do wonders for youth awareness, but what are the anecdotes for the widespread distrust of politicians and of existing social systems? Perhaps in this way, the 2016 election, which has been the catalyst of much of the millennials’ disillusionment, will prove to be a positive motivator for youth. 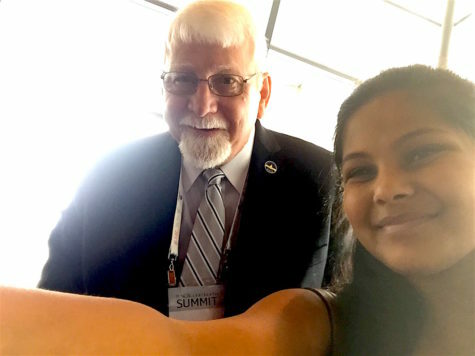 Danny Bentley (left), a state Representative from Kentucky, poses with a reporter at the National Conference of State Legislators’ 2017 Legislative Summit at Boston Convention Center in August. Natasha Roy is a correspondent for the Raider Times.